A recent study published in The Journal of Nutritional Biochemistry shows that eating walnuts may increase the amount of beneficial bacteria in the gut. Previous research has indicated benefits to the heart as well as providing anti-inflammatory effects. Now this study adds to walnuts’ status as a ‘superfood’ by observing that walnuts shifted the gut microbial community in a beneficial way. There is a saying that ‘you are what you eat’. But in this modern age with so many allergies etc., our slogan “you are what you absorb!“™ makes more sense. You may eat food that is good for you but if you either cannot absorb it or are allergic to it, then it will not provide expected benefits. Regulat® pro bio contains walnuts in an easy assimilable form such that even people with allergies report that they tolerate Regulat® very well – we have not encountered patients having allergic reactions. This is because some nut allergies, such as an allergy to walnuts, are due to the long protein chains of the ingredient. 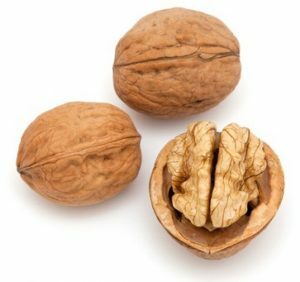 In Regulat®, walnuts are broken down through the cascade fermentation process so that these long protein chains are no longer present – they have been converted into non-allergenic oligopeptides and amino acids. Walnuts are known to have a higher concentration of the essential unsaturated fatty acid alpha-linoleic acid than any other food, and also contain a high percentage of vitamin E. This is said to help lower the “bad” LDL-cholesterol. In addition, walnuts contain B vitamins and vitamins A, C and E, which, as they promote digestion, may partly be responsible for the results seen in this study. These vitamins also support important brain activities, giving walnuts the reputation as a “brain food”. Regulat® pro bio is a Cascade-fermented bioconcentrate made from fresh fruit, vegetables and walnuts, to help support biological regulatory processes. This entry was posted in Digestion and gut health, Ingredients on July 27, 2017 by Colin Davis.